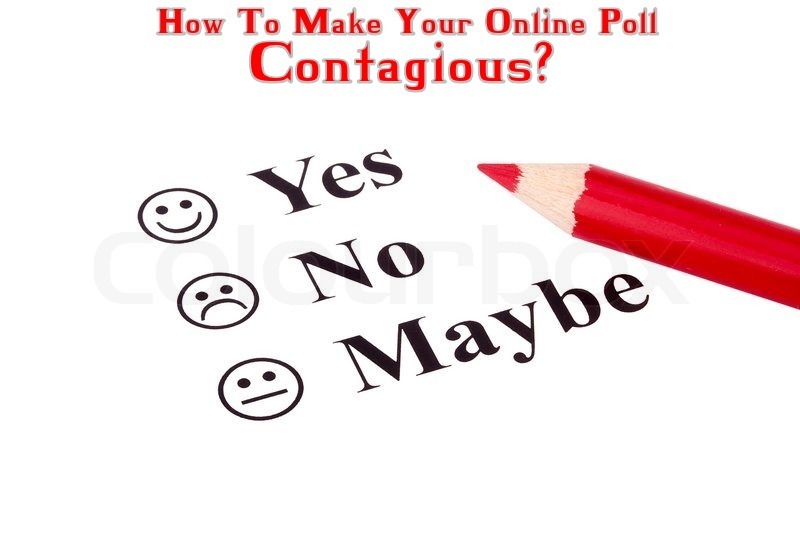 Home » Blog » General » How To Make Your Online Poll Contagious? How To Make Your Online Poll Contagious? Since the relevance and importance of Online poll is evident in the business decision-making process, being an entrepreneur you cannot skip it. These days business are heavily dependent on the inputs provided by the online survey. You should make every effort to make your online survey engaging so that maximum respondents will give their valuable response. Listed below are some of the important tips which can make your online poll contagious attracting more participants. 1. Most Relevant: If you want to engage maximum participants, you will have to make it relevant to them. If your participants find your survey connected to them, there is every possibility that they will participate in the poll. Make your online poll hit at some of the most important areas of your target market to increase your response rate. 2. Right Timing: The timing of the launch of your online survey also has an impact on the response rate. You will have to keep a note of the market scenario and conduct your online poll at a time which will attract maximum audience. Go for a time which will be best for the participants to take part in that kind of survey. 3. Attractive Look: Content is good but a little bit of animations and other appealing elements will surely attract more respondents. Using colorful fonts and typeface will engage more participants. Design an online poll which will be alluring in its look. The more respondents you will be able to attract with your survey’s look, better it will be for respondent’s engagement. 4. Mobile Compatible: More than 40% of your respondents will be replying through mobile so you cannot afford to miss this opportunity. Make sure that your online survey is completely functional on all devices. Integrate mobile compatible features in your online poll so that it gives a clean and consistent mobile experience to your participants. 5. Socially Active: The reach and extent of social media is increasing with each passing day. Upload your online poll on social media sites also to get maximum response from the commuters. Facebook, Twitter, LinkedIn can get you millions of participants within short span of time. The more viewers you will find on these platforms, better it will be for your online survey. PollDeep, the most comprehensive and flexible free online poll creator is here to help you with any kind of survey that might be helpful to you. It has been designed after proper scrutiny and analysis of various features. It comes loaded with unique and latest features to help you with creating, managing and sharing the results of your online survey/poll. Through online poll you can connect to a larger number of respondents within a short period of time. The duration of time which is invested in these kind of survey is usually very less as compared to the time that is needed for a manual survey. Come, make your online poll contagious for your respondents to extract maximum from them.